Matthew and The Atlas has released new track Pyres, the first track to be taken from the their third album, which is due for release on 10th May.Morning Dancer is the third album from Matthew and the Atlas, the project led by British songwriter Matt Hegarty.Across Hegarty’s first two LPs (‚Other Rivers‘ and ‚Temple‘) and the four stripped back EPs that preceded and followed them, he has traversed a range of musical territories from classic acoustic folk, to dramatic synth-laden electronica, and urgent guitar led alt-rock. 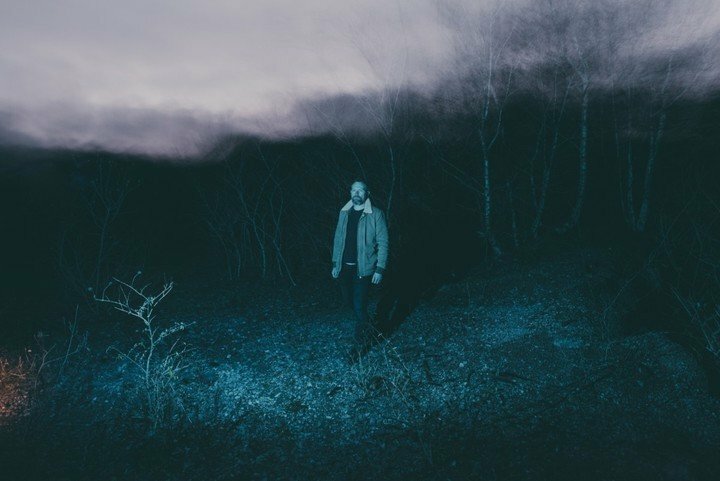 Thecommon thread has been a songwriting style that marries a subtle melodic sensibility withlyrics full of natural imagery and dark emotional heft – all delivered in his striking anddistinctive vocal. In the process Hegarty has quietly built a major cult following in Europeand the US, which has seen Q magazine dub him the „British Bon Iver“. As part of the Communion Records family (Matthew and The Atlas’ debut EP was the label’sfirst ever release) Hegarty toured his early releases extensively and internationally with thelikes of Mumford and Sons, Bear’s Den, Civil Wars and others around Europe and the US.That early touring, and a passionate word-of-mouth fan base, has taken Hegarty’s musicaround the world and close to 100m streams across all his releases.Armed with a collection of new songs in the second half of 2018, Hegarty found his way toBristol based producer Ali Chant (Perfume Genius, Youth Lagoon, Gruff Rhys). They clickedimmediately, and recorded and mixed Morning Dancer in an intensive six week stint, whichsaw Hegarty recording for the first time with his full five-piece touring band. The record hasfamiliar elements – the energy and intensity of the live show, stripped and delicateconfessional moments, and touches of the synth heavy drama that characterized his debut. Tothat mix, Chant and Hegarty have added flourishes of brass and woodwind and a playfullooseness to the production and arrangements that takes the songs and Hegarty’s voice to anew place altogether.